Kentucky is at the forefront of efforts across the country to legalize industrial hemp production. In the U.S., 22 states have enacted laws legalizing industrial hemp farming. After a 70-year absence, the Bluegrass State is one of 13 states to establish a commercial industrial hemp program, but production is limited to pilot projects. In 2014, the federal farm bill opened the door for universities and state agriculture departments to begin cultivating hemp for limited purposes. The federal government classifies hemp as an illegal drug under the Controlled Substances Act because it contains trace amounts of the same hallucinogen found in marijuana. However, hemp is genetically different. Proponents of legalizing hemp in Kentucky say it has many uses and production can help boost the agriculture sector, especially in struggling rural areas. Hemp can be used to make fabric, food, fuel, plastics, construction material, and paper. Products range from protein drinks to American flags. Kentucky Agriculture Commissioner James Comer joined farmers and industry leaders in a Lexington news conference in May 2015 to discuss an ambitious agenda of industrial hemp research projects and economic development initiatives in the Bluegrass State in 2015. 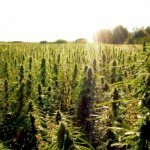 Comer predicted that within a decade, hemp will become a major Kentucky crop. “We’re here today to brand Kentucky as a leader in industrial hemp production. We want to make Kentucky synonymous with hemp like Idaho with potatoes. 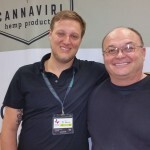 … Hemp equals jobs and economic development,” Comer said, according to The Associated Press. The Kentucky Department of Agriculture in 2015 approved 121 applications for hemp pilot projects involving seven universities across the state. Thirty-six groups and projects were slated to grow more than 1,700 acres during the year, the Southeast Farm Press reported. In 2014, 20 farmers grew more than 33 acres. Legalizing hemp production in Kentucky has attracted 24 licensed processors who are investing in the state. 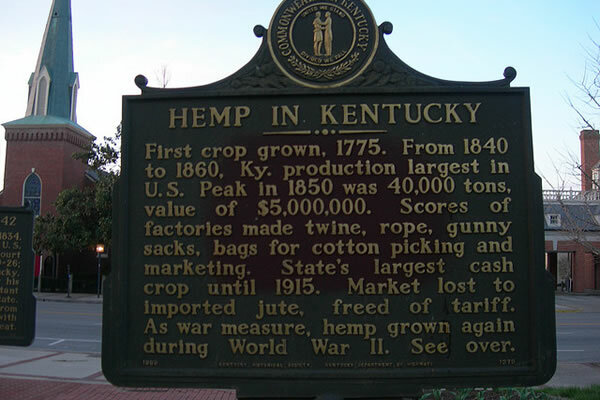 Kentucky has a strong hemp history. The state’s first hemp crop was grown in 1775, and it went on to become the nation’s leading hemp-producing state in the mid-19th century. In 1938, federal legislation outlawed production of cannabis, including hemp. Hemp production in the U.S. ramped up during World War II as part of the war effort, but fell again after the war. 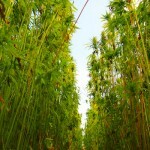 Hemp crops have a rapid growing cycle of 60-90 days. Seed crops grow in about 120 days. A certified seed crop is being grown in Kentucky, which will eventually eliminate the need to import the seed.